For a lot of workout junkies aspiring to lose weight or put on some muscle mass, if there is one thing you see over and over again is – drink lots of water and eat enough protein. Sure, you should definitely drink LOTS and LOTS of water, especially after working out to rehydrate. Additionally, getting in extra protein right after a workout is ideal too. Following these two rules, can also lead to a lot of plastic being purchased and trashed. If you are like me or a lot of friends I know, we have piles of empty water bottles, protein containers, SPRUCE® containers and POW® containers. Instead of recycling them away to recycle land, how about you recycle them at home? 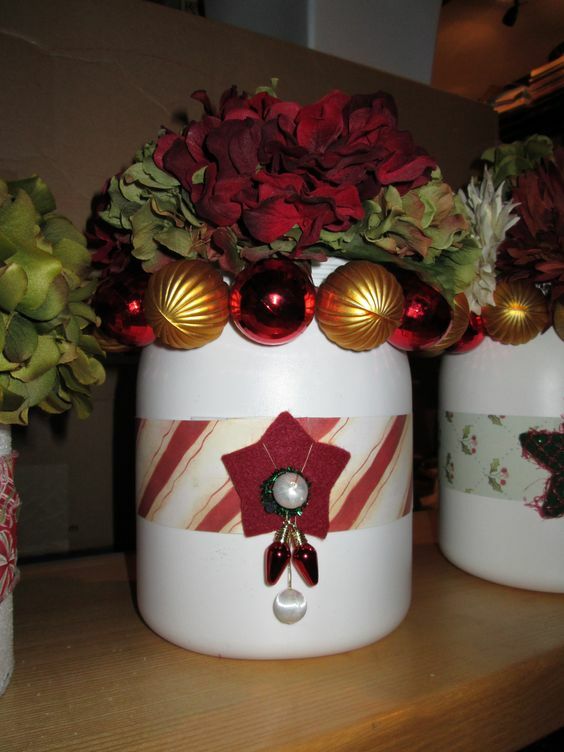 And what better way than now to get crafty with some Christmas decorations or presents. The gift giving never seems to end this time of year, so grab your empty plastic containers and get crafty with your bad self. What are some creative ways you have reused your empty plastic containers?